This shop became flooded with inquiries from around the country after their famed "all you can eat sushi nigiri" course was shown on TV and in magazines. 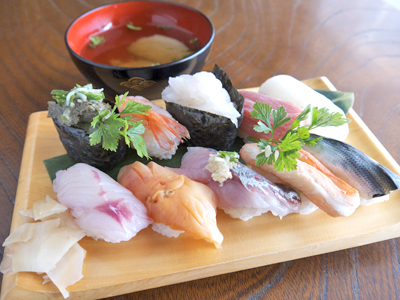 The home-grown rice used in their sushi leaves a lasting impression. The "Kaisen Zanmai" rice bowl also satisfies many customers, overflowing with 20 different toppings.